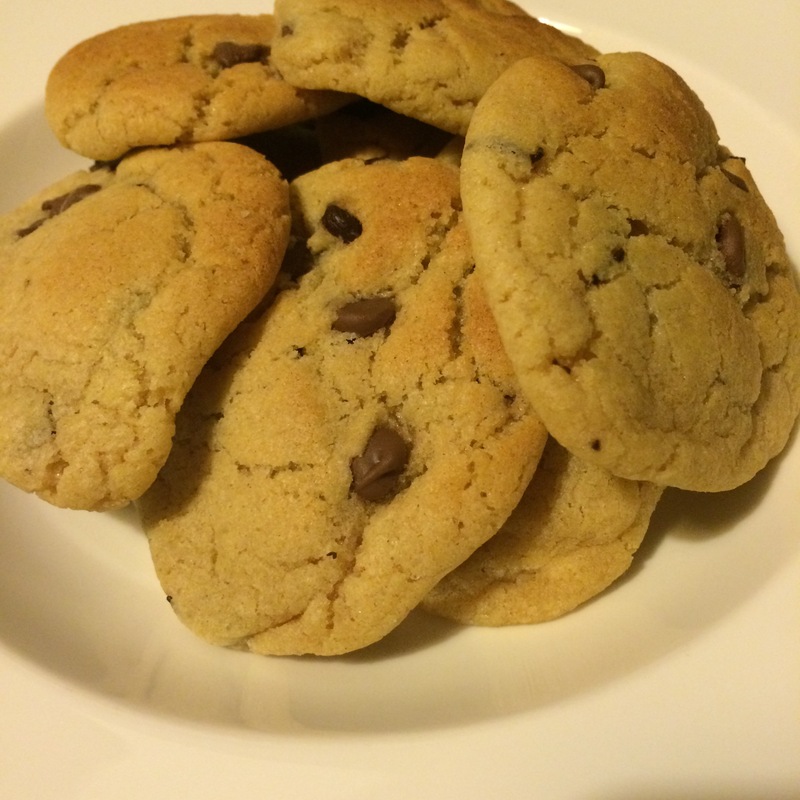 Soft chocolate chip cookies recipe! I seem to have caught a bit of a baking bug lately. Since the nights have been drawing in, I’ve been enjoying spending my evenings baking something yummy, and then sitting down with a cup of tea to enjoy the fruits of my labour. In the past couple of weeks I’ve baked 2 batches of banana bread, a batch of brownies, and most recently, soft chocolate chip cookies. 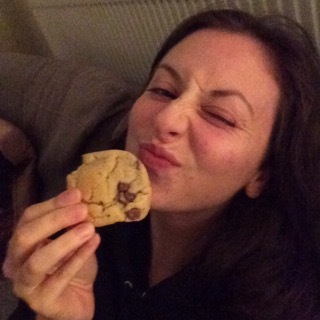 These cookies are the perfect sweet treat for when your soul just needs something delicious. So today I thought I would share the recipe with you! Preheat your oven to 180c or gas mark 4. Mix the sugars and butter together until smooth. Add your sifted flour to the mix. Lay out some baking paper on a baking tray. Roll your dough into little balls (hehe) I’d say about the size of a ping pong ball, but it’s your call how big you want your cookies to be! Put your cookies in the middle of your preheated oven for approximately 10 minutes, though keep an eye on them after about 7 or 8 in case they have cooked faster than expected. They should have a slight golden brown colour but still be quite soft when you remove them. Leave your cookies to cool and harden. Let me know if you try this recipe out and what you thought!